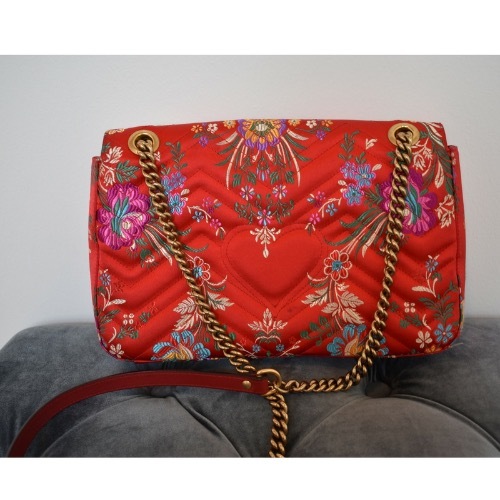 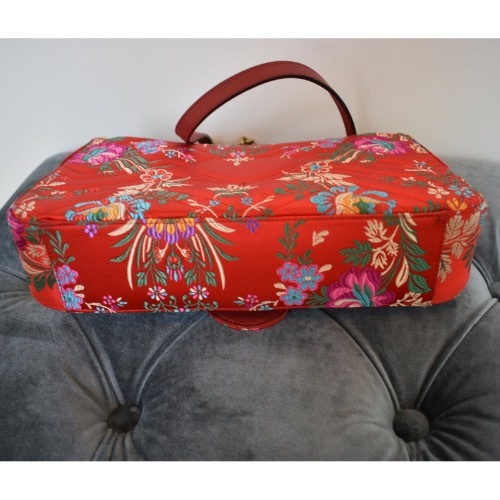 Gucci medium red jacquard floral Marmont 2.0 satin shoulder bag with internal zip pocket and shoulder chain that can be worn multiple ways. Gucci medium red jacquard floral Marmont 2.0 satin shoulder bag with internal zip pocket and shoulder chain that can be worn multiple ways. 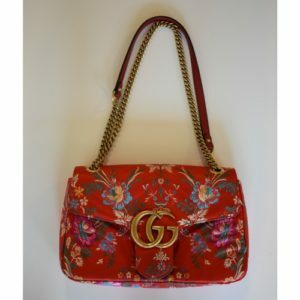 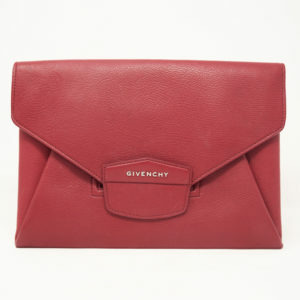 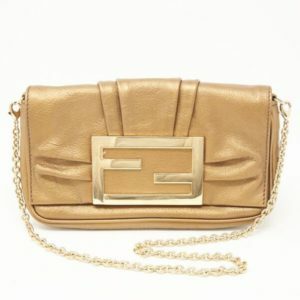 The flap closure is punctuated with Gucci’s iconic interlocking ‘GG’ logo. 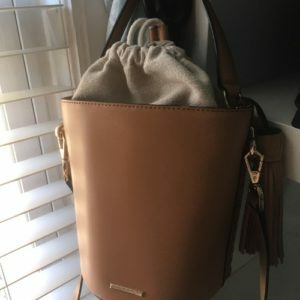 This bag is from the SS17 collection.